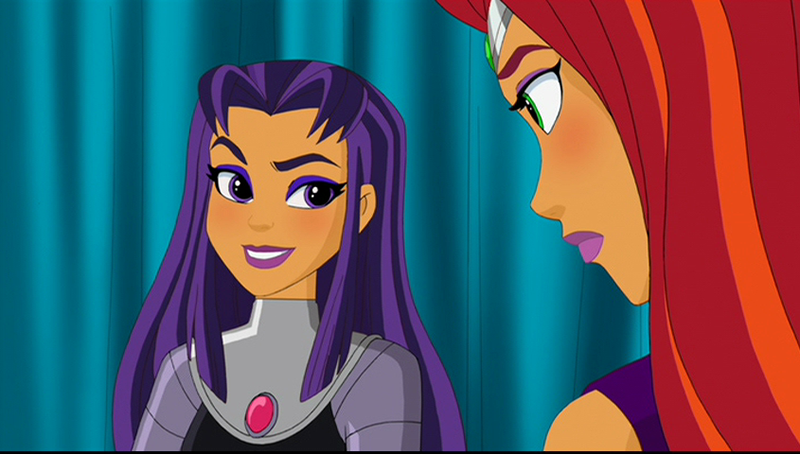 Likes: My Little Pony: Friendship is Magic, Teen Titans Go! With the notable exception of Patty Jenkins' recent Wonder Woman, DC's film output has long lagged behind its TV series, whether it's the small-screen live-action series that populate the CW or the many excellent animated adaptations, including the wonderfully silly Teen Titans Go!. Part of that success is a very clear view of each series' audience, focusing on adventure, laughs or drama. So when the powers that be took aim at a relatively unserved young female audience with DC Super Heroes Girls, it looked like a smart business move, locking in a generation of female fans to the world of Supergirl, Batgirl and Wonder Woman. 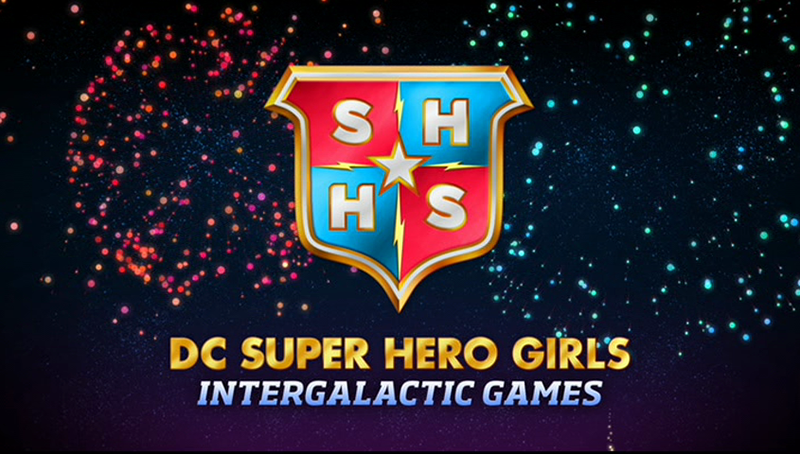 At first, the concept, which brings together teen versions of DC's distaff heroes (including characters like Bumblebee, Katana and Big Barda) and some popular bad girls (such as Harley Quinn and Poison Ivy) as students at Super Hero High School, was limited to some internet shorts, a toy line and printed appearances, but with a new TV series in development, original movies have been released, including DC Super Hero Girls: Intergalactic Games, which gives the super students more opportunities to show their personalities and take part in fully fleshed-out storylines. The results are a fun mix of comedy and action made to appeal to not only the young girls the title suggests, but anyone who likes their superheroes a bit less serious. The original movie arrives on one DVD, which is packed in a standard keepcase with an attractive foil-embossed slipcover. The DVD features WB's traditionally bland static, anamorphic-widescreen menu with options to play the film, adjust the languages and check out the bonus content. There are no audio options, but subtitles are available in English SDH. The anamorphic widescreen transfer on this film is bright and colorful, and shows off the film's smooth animation well, with the bold characters standing out well against more subtle backgrounds. Everything is clean and free of any notable problems, even when the action picks up later on in the film. A very attractive presentation that fits the content well. After growing used to getting simple stereo tracks for most kids shows, the Dolby Digital 5.1 track here was a pleasant surprise. The surrounds come into play often in battle, but particularly when it comes to boosting the music, including the excellent theme song, "Get Your Cape On." Voices are consistently clear and easily understood and there's some effective low-end during action scenes, making for an engaging soundstage. "That's My Girl" (3:32) is a music-video edit of DC Super Hero Girls action footage set to the Destiny's Child-esque "That's My Girl" by the pop group Fifth Harmony. It's a catchy, energetic song that fits the tone and themes of the series well, and this presentation should appeal to fans of the film. Also included are a set of DCSHG shorts, starting with "New Beginnings" (4:30), in which Wonder Woman attempts to convince Supergirl to attend Super Hero High School, via a video call held while Wonder Woman battles a villain. There's something rather delightful about the young Wonder Woman being unwilling to put down her phone despite being in the middle of a huge fight. A trio of the shorts feel too short, rushing through their simple plots. 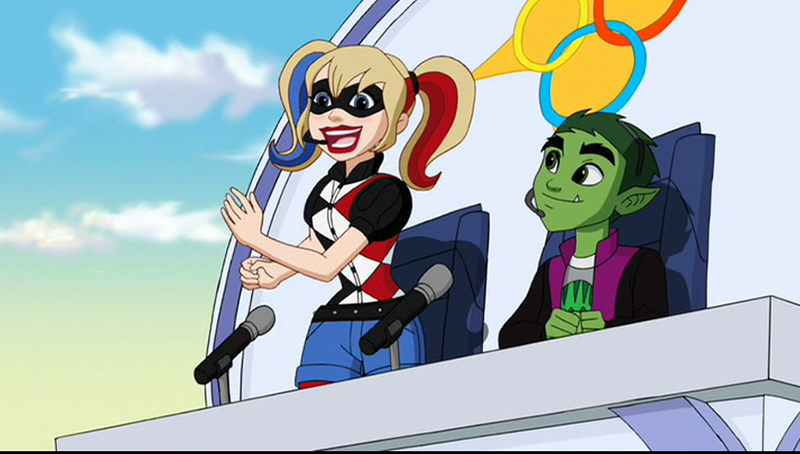 In "Quinn-tessential Harley" (2:34) we get a meta comment on the popularity of the character, as Harley struggles with her fame and fandom. Then "Doubles Trouble" (2:55) delivers, as you may expect, a tennis short, pitting Supergirl and Katana against Flash and Cyborg, with the use of Supergirl's powers as the central gag. Finally, "Franken-Ivy" (2:44) puts the spotlight on Poison Ivy, as her aggressive pet/plant grows out of control, forcing the Girls to take him on. Far more involved is "Dude, Where's My Invisible Jet?" (3:52), which includes several of the non-core heroes, as they attempt to find Wonder Woman's misplaced invisible jet. It's an amusing idea, though the payoff doesn't deliver on the premise, with two extended bits that feel repetitive. Also included are several trailers, including one for that terrible-looking Tom and Jerry/Willy Wonka movie. 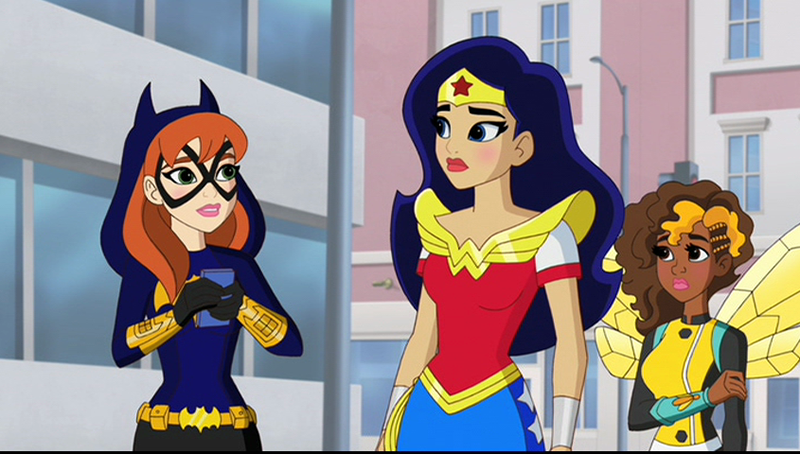 My 11-year-old daughter's never been overly enthusiastic about the DC Super Hero Girls concept (preferring anime to a large degree), but after grudgingly sitting down with me to watch this movie, she found herself drawn in and wound up really enjoying it. And despite expecting a cutesy, girl-targeted version of the DC characters, I had a good time as well, thanks to the fan-service use of characters and fun bits of comedy throughout (mirroring the family-friendly My Little Pony: Friendship is Magic.) The presentation is solid and the extras offer a good amount of added value, making this a good pickup for families looking to enjoy some superhero fun together.